Bluetooth technology enables you to connect to any smart device. You don't have to plug your phone in to listen to music or deal with annoying cords. The tiny earbud has a built-in mic, so you can easily take calls.Thanks to rechargeable lithium ion batteries built into the housings. 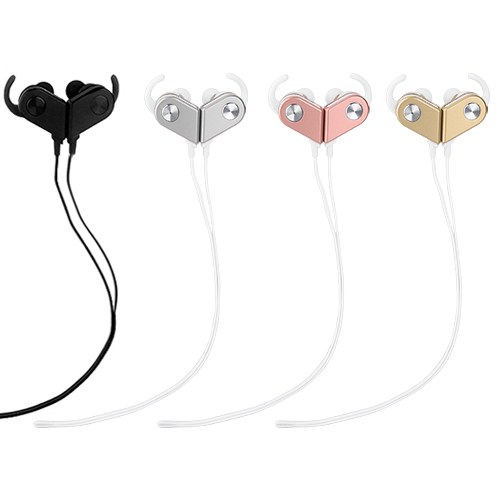 The new buds will provide a discreet and more comfortable listening experience. True Wireless Headphones Design: Best workout sweat proof Bluetooth headphones. Great for walking, Jogging, Hiking, Biking, Gym and some other activity. Adopted with TRUE WIRELESS Technology. 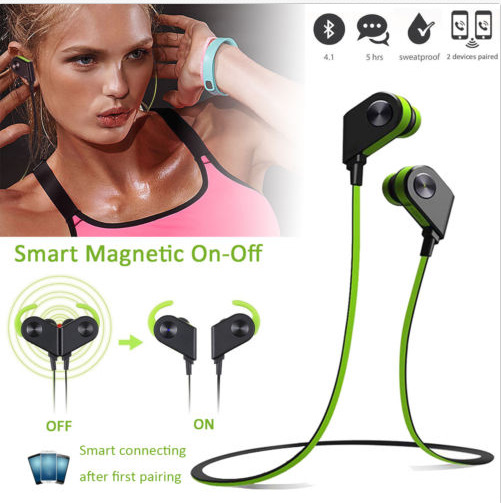 These Bluetooth headphones have a magnetic backing on each earbud so if you are on the run, you can connect both earbuds for easy transportation. Intelligent Charging Box Offer Power Design: Up to 300 minutes of continuous talk or up to 240 minutes of music time when full charged. These headphones come with an intelligent charging high capacity lithium battery that provides up to 130 hours of standby time. Compact size, easy to carry for outside or travel. Magnetic sides hold ear pieces together. Once separated, headphones will power on. Simply reconnect the magnetic ends to power off. Control your music with Volume, Play/Pause, Next Song, & Previous Song functions while still being able to make and answer phone calls. Headphones enter pairing mode automatically upon powering on. Then simply connect to any Bluetooth 4.1 compatible device.